The G12H-150 Redback has been created for players who are looking for extreme power handling but refuse to compromise on great tone. Rated at a gargantuan 150-watts, the Redback is constructed with a supersized 2-inch voice coil and features the heaviest G12 magnet. 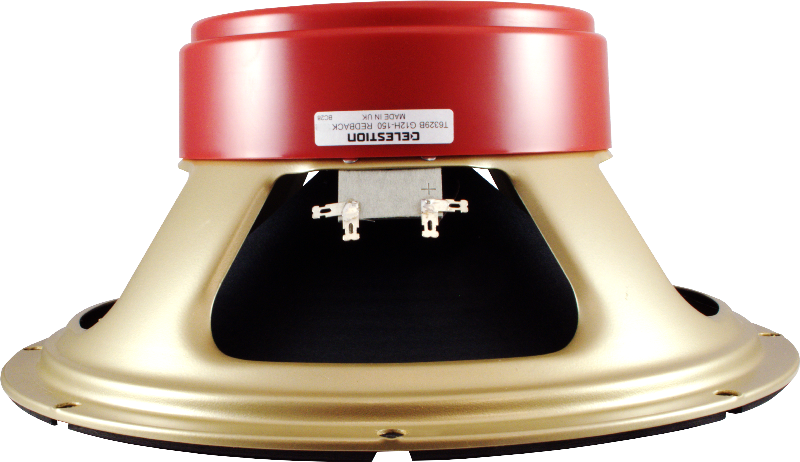 The result is a guitar speaker that sounds 100% Celestion in character, yet is primed to withstand a pummeling from a 100-watt head all by itself, and still come back for more.The Redback proves that you no longer need to choose between power and tone. 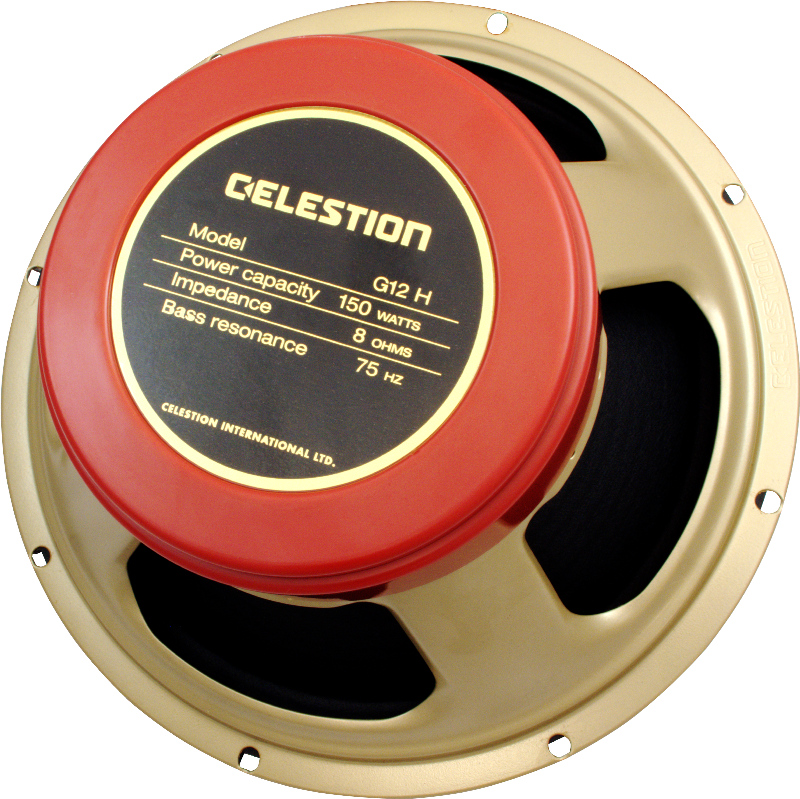 With a tight, well-controlled low end, detailed midrange and more relaxed treble, Celestion’s engineering expertise has produced a truly high power guitar speaker that can still deliver balance, responsiveness and superb playability, with muscular ease.With lower power combos, expect tons of smooth, clean tone and don’t be afraid to plug in your favourite stomp box. Thinking of downsizing your cabinet? Simply hook up a single Redback to your 100-watt head and generate giant slabs of frightening, monstrous tone. All models Packaging Dimensions 13.3 in. x 13 in. x 7 in. All models Weight 11.5 lbs.